Hollywood titans Spike Lee and Jordan Peele have joined forces on a new project that is already being dubbed as one hell of a film. 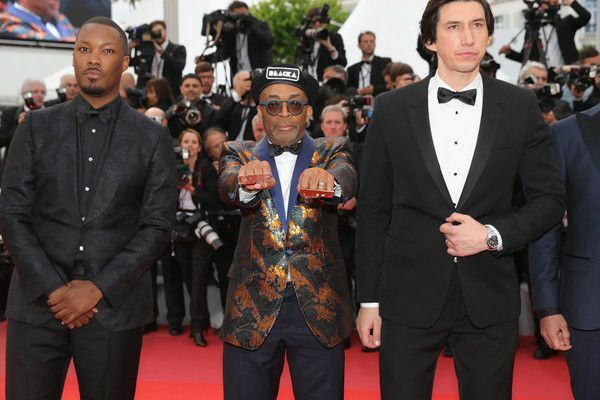 Blackkklansman appears to be the breakout movie at the 2018 Cannes Film Festival during its world premiere as it received an exceptional reaction. During the movie, the audience broke into applause at least a half-dozen times, followed by 4-minutes of applause during the closing credits and then a 6-minute standing ovation! Safe to say it was good one! 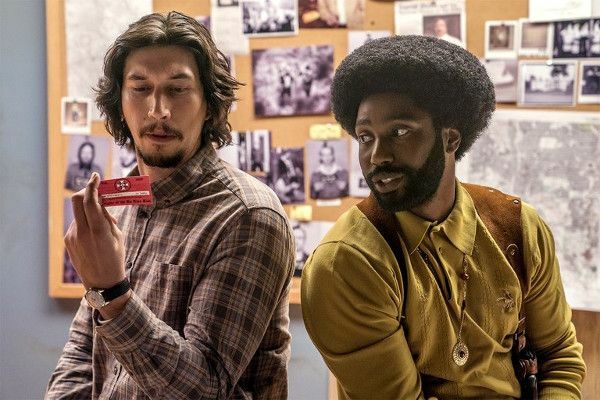 The movie, based on a true story, follows an African American detective (John David Washington, "Ballers") and his Jewish partner (Adam Driver) who team up for an undercover mission to infiltrate the Ku Klux Klan in 1979. While the movie is set in the 70s, it's reported to be quite timely as a result of what's currently going on in America. John and David are both fine so, yeah, we're even more here for it. Variety reports the film takes a lot of digs at No. 45 throughout the film. In one scene, a KKK member talks about embracing an “America first” policy. The film draws comparisons to Trump and and former Grand Wizard David Duke (Topher Grace, "That 70s Show"). The ending scene also features real footage from the Alt-Right (deadly) protest that went down in Charlottesville in August 2017. 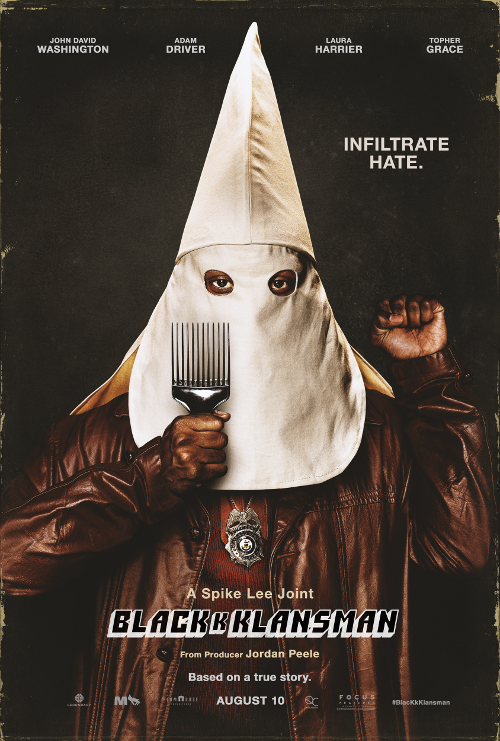 Blackkklansman, also starring Corey Hawkins and Laura Harrier, hits theaters August 10th. Jordan Peele is coming after everybody! Jordan Peele's Monkeypaw Productions, in collaboration with Sonar Entertainment, will reportedly produce "The Hunt," a vengeance-driven Nazi hunting series. Peele is named as an executive producer of the 10-episode straight-to-series order. "Queen Sugar" fans better get excited. We sure are. We can't wait for the season 3 premiere of the hit series. And before the critically acclaimed drama series from Academy Award-nominated director Ava DuVernay and executive producer Oprah Winfrey returns and have us all up in our feels, a new extended trailer has been released to give fans a more in-depth look at what's to come for the Bordelon Family. Charley (Dawn-Lyen Gardner) remains in the thick of the trials and tribulations in both her personal and professional life as she continues to battle the Landry family while also trying to ensure Micah's (Nicholas Ashe) safety and future. Ralph Angel (Kofi Siriboe) is still reeling from learning from Darla (Bianca Lawson) that he might not be the biological father of his son, Blue (Ethan Hutchison), and attempts to push forward as the new cane season begins. A new and unexpected love in the form of an old friend comes into Nova's (Rutina Wesley) life and challenges her long-held notions of relationships while also offering her something she didn't think she could ever have. Peep the extended trailer above. We told you all Mara Brock Akil and Salim Akil were working on a new romantic drama, "Loe Is _." And now, we've got the first look. From award-winning producers Mara Brock Akil ("Girlfriends," Being Mary Jane," "The Game") and Salim Akil ("Black Lightning"), the producing couple brings some of their real life relationship lows and highs on the silver screen. Set primarily in 1990's Los Angeles against the backdrop of Black Hollywood, "Love Is__" follows Nuri (Michele Weaver) and Yasir (Will Catlett), a couple from seemingly opposite worlds, as they chase their dreams and learn to follow their hearts. Told from the perspective of the couple's present-day selves, the romantic drama also revisits the social issues and vibrant black culture of that time reflecting on how it all aligned to shape the couple they have become nearly 20 years later -- a power couple navigating a complex set of social codes while also balancing successful careers and a beautiful family. The series explores the highs, the lows, and the magic of falling (and staying) in love. Idara Victor, Tyrone Brown, Kadeem Hardison, Lana Young and Yootha Wong-Loi-Sing round out the cast. Peep the trailer above. "Love Is _" debuts on Tuesday, June 19 at 10 p.m. ET/PT. PREVIOUS: Offset Was Just Hospitalized After Crashing His Car!